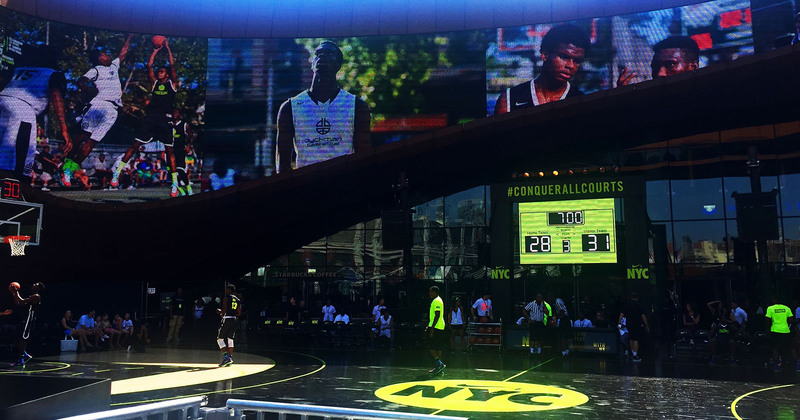 For the annual Tournament of Champions, a high school basketball competition sponsored by Nike, we partnered with the team at Game 7 to bring the game outdoors – designing and building a basketball court in front of the Barclays Center under the famed oculus display screen. Taking into account the vast and varied components required to bring such an event to life, we managed and produced the project from start to finish. 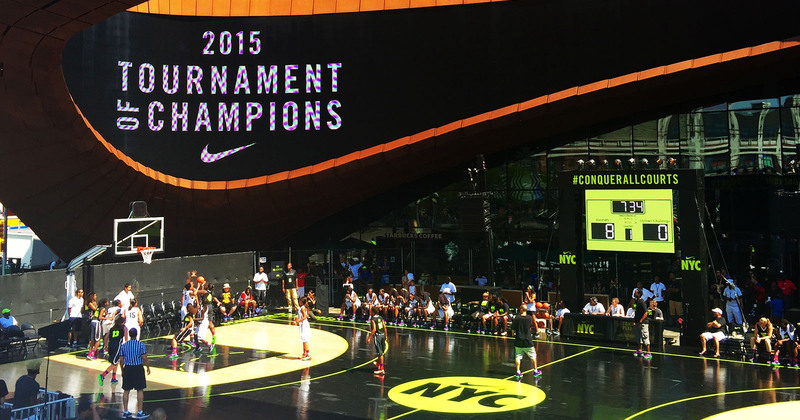 We began by drawing engineering plans for a tournament-worthy court, as well as spectator areas, considering every detail, from egress points to permit restrictions. We coordinated with subcontractors and event vendors, and brought in our own power, audio, video and lighting. The actual build took 4 days of round-the-clock-work—and we completed the job with 5 inches to spare!